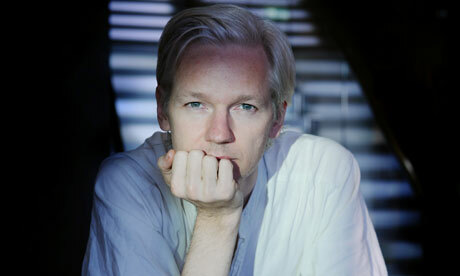 JULIAN ASSANGE - WikiLeaks 'editor-in-chief': from geek to freedom fighter! 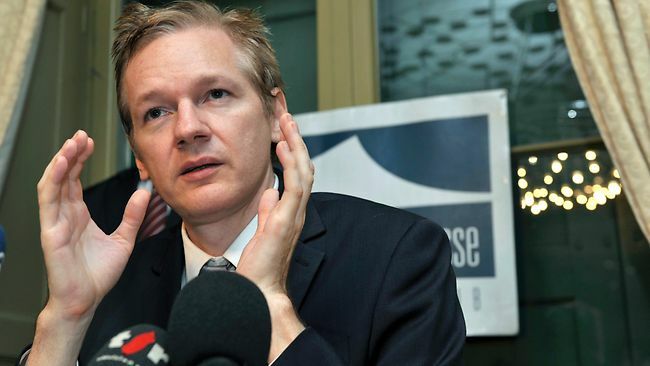 Julian Assange - WikiLeaks' free-thinker! After WikiLeaks' recent revelations about than 250,000 US correspondences by diplomatic cables, Julian Assange has now become included in Interpol's list of "Most Wanted". Who is this 39-year old Australia man... who became known in all political regions of the world after WikiLeaks' publication about the 'public secrets' about what has really been going on in the war in Iraq and Afghanistan over the past years? 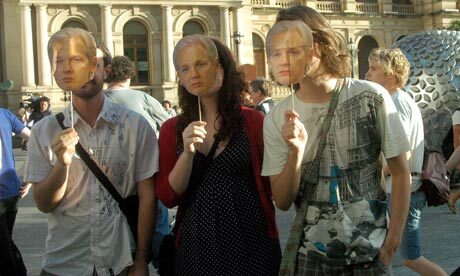 Re: JULIAN ASSANGE - WikiLeaks 'editor-in-chief': from geek to freedom fighter! I've been thinking about his need for exposure of the facts vs. empathy for the parties involved. The second photo gives the appearance of a heart line that crosses the palm on his left hand, whereas the other images show a possible rising heartline toward the middle of the base of the index finger and another (possible girdle) crease coming in between the index and middle. Thinking of Mercury, there is also an interesting slanting indentation that shows in more than one photo of a crease rising from the marriage/attachment crease area toward the little finger. Is it all about communication or is there an underlying need/desire to 'expose' others!? Thanks for sharing these Martijn! Yes, I noticed the differences between some aspects of the photos as well. Maybe there is a 'splitting heart line' involved (edit: or... who knows ... maybe a 'Suwon crease'??? ... though so far I see no evidence for that). Anyway, basically these photos show again that one can observe line-details from low quality photos (all photos that I found so far do not present the necessary quality which is required to make permanent observations). From my point of view... this man is a typical 'beta-freak' who used to be involved in hacker-related activities with a scientific motive; he appears basically interested in finding out what is really going on in the world - behind the scenes created via the media, etc. He describes himself as: an 'extremely sceptic' person... so, I guess that fits with your perception regarding that he doesn't not interested in showing emphathy. But what else can we expect from the world's largest 'whistleblower'? Let's hope... that some other 'whistleblower' will help use to study mister Assange's motives: by delevering us a HIGH QUALITY photo of his hand!!! Professional Hacker - that says a lot! This may not be about 'truth and justice' but about personal recognition. The ultimate 'catch' of data. It's funny how people condemn someone who highlights what we all should know, and many of us do, as 'the rogue'. His hands do not reflect anything other than someone not constrained by the group mentality or hive mind of society, is governed by an incredible sensitivity and awareness of right and wrong. This is reflected in the close positioning of the finger of emotions and the middle finger- Saturn. The sensitivity to these issues lies in the dew drops and well developed mounts. Where is the critical assessment of the information now available. Perhaps that should be read before condemnation. As one who initiated the first Australian Protest 'The Doves of Peace' against the illegal invasion of Iraq I note- that there is no connection between Iraq and the Twin tower bombing and the association with Saudi Arabia and Afghanistaan which was clearly established back then. And I didn't do this through a desire for attention as if anything you are maligned, but so I could say I did everything to prevent what, in the mist of time, will be seen as a crime against humanity. Felicity Martin wrote: It's funny how people condemn someone who highlights what we all should know, and many of us do, as 'the rogue'. Felicity, thank you for your Interesting comment!! Yes, I guess that is why I admire 'wistleblowers'... usually they have to give up everything: their career, network, etc (in the Netherlands we have seen a few examples during the past decade). But let's not forget that Assange is not a 'wistleblower' himself... he is only the 'editor-in-chief' of the international organisation which delivers the message. Patti wrote: Professional Hacker - that says a lot! I am wondering: why do you think that Assange's work is not much more than a search for 'personal recognition'? My thought is that the WikiLeaks project basically strives for making people (= the world) aware of how power is being abused... and in that perspecitive: how surprizing is it that in their need for 'damage control' the involved polititicans respond with pointing fingers at the ego of Assagno? A classical example of 'projection'! PS Regarding his background... did you ever hear about 'white hat hacking'? I think this person is a clear example of 'white hat hacking'; for example, he wrote a few papers about the 'ethics' of hacking. However, I hope you noticed that his current activites are not more than the "organization of delivering the news to the people". I am wondering: why do you think that Assagne's work is not much more than a search for 'personal recognition'? But, individually, we all do things that give us pleasurable responses. These are different for each of us. I'm looking for what is his. Even self sacrificing acts of kindness such as those of Mother Teresa would result in her receiving pleasure. Maybe just of a job well done, or God's work done or at least one child not hungry, but this would give her a sense of goodness, too. Evil acts give 'evil doers' their pleasure. Felicity, I'm not condemning. I just maybe sometimes get carried away in analyzing the motives of people. Whoever was responsible for 9/11, whether it was an inside job, allowed to happen, or totally the job of terrorists, someone was pleased and satisfied with the results. Regardless of who was responsible, obviously there was an agenda. Perhaps just to get the American people's attention to their government's foreign policies. If so, it worked, to some extent. But do we (did we) praise these people with the "fill in the blank" to carry out extreme actions to get a message, be it truth or otherwise, heard? Thanks for the additional history. I hadn't paid much attention to him as much as to the leaks themselves. I understand that the leaked cables were available via a common system - that was created because of 9/11 to share interagency communications and data. That allowed a 22 year old private to access very highly classified info. He passed these on to Wikileaks. BTW - no projections, just wonderings and speculation based on all the data coming in to me. Leaks, news articles and your posting -- it's all input and I'm just processing it. ..out loud maybe. Okay Patti, thanks for explaining - now I understand how you arrived at your thoughts. Though you're welcome to make that noticed when your start posting your considerations - because somehow... initially I thought you were posting conclusions that were developed even before I initiated this discussion. Anyway, thanks for sharing your thoughts!! Assange said that his arrest would do nothing to halt the flow of American diplomatic cables being released by his group and newspapers in several countries. Hundreds have been published in redacted form this week and Assange said that all of the cables had already been distributed in a heavily encrypted form to tens of thousands of people. If something happened to him, he suggested, then the password needed to unencrypt the data would be released and all the secrets would go out at once. "History will win," Assange said in a web chat with readers of The Guardian newspaper, one of the media organizations helping to coordinate the documents' publication. "The world will be elevated to a better place. Will we survive? That depends on you." If you look at it with disinterest as to what the documents contain and how the world can be affected by revealing it's content. Just reading this quote, it's a threat. Something happens to him - then the big "bomb" of information will "hit" all at once. Imagine if this was a known terrorist sitting there (like on the TV show "24") making the same comment, remarking about the power to release a huge impact, if he is harmed or eliminated. This is a new form of terrorism, not just a crusader for truth. American political commentator 'Alyona' explains in this video-fragment her answer by describing how the word 'terrorism' is being abused in today's society. Though, one can not deny that the WikiLeaks project is a big threath for those who are involved in corrupt activities. But if about a million people were allowed to have access to the 'ambassy files', one could wonder whether describing Jullian Assange as a 'terrorist'... could easily be recognized as a 'political act'. Today, it appears that authorities in England are aware that Julian Assange is now living within UK borders. Assange's advocate appears to have reported this earlier today. "He then spent three years working with an academic, Suelette Dreyfus, who was researching the emerging, subversive side of the internet, writing a book with her, Underground, that became a bestseller in the computing fraternity. Ms Dreyfus described Mr Assange as a "very skilled researcher" who was "quite interested in the concept of ethics, concepts of justice, what governments should and shouldn't do. This was followed by a course in physics and maths at Melbourne University, where he became a prominent member of a mathematics society, inventing an elaborate maths puzzle that contemporaries said he excelled at: 'Encrypt everything'." EDIT: During the past 24 hours Assange's chances for becoming the new Time's NO.1 have grown significantly... from -27% to -22% (compared to the current no. 1: Recep Tayyip Erdogan - Prime Minister of Turkye. Herman van Rompuy (the first President of the European Council) said in december 2009 that EU nations were involved in Afghanistan 'out of deference to the US' - 2010 = 'last chance'. The European Union no longer believes that US and Nato forces can succeed in Afghanistan, but continues to commit troops to the fight "out of deference to the United States", the EU president Van Rompuy is quoted as saying in leaked US diplomatic cables. "Europe is doing it and will go along out of deference to the United States but not out of deference to Afghanistan". Interesting stuff... !! Obviously that is no 'top secret' info, but why were only about a million people in the US to know that? But I am sure that those who still support the Afghan war, still claim that they themselves do not have 'blood on their hands' because they feel that they have the right to continue with the Afghan war. Even after the former American general had concluded in the autumn of 2009 that all former stragies had hopelessly failed in order to win this war. A few weeks later Obama decided to continue the war with... another new strategy: focussed on delivering the Taliban another final strike on their cheek, combined with the education of Afghan policemen... even while knowing that some of those (future police)men spend the day 'stoned' from hashjies or papaver. From that moment it became obvious for me that it had basically become a 'political' war only. And I started looking forward to the next US presidental elections... because I could no longer support Obama's arguments to continue with the Afghan war. And I know that many Americans have likewise 'sceptical' thoughts by now. So... great to know WHY the European leaders still support this war - and I am glad that my country was a couple of months ago the first country to withdraw from this hopeless war, that probably only fueled feelings of 'hate' among the many victims. Maybe 'WikiLeaks' could help the world to finally end this war? Probably not... because political careers appear to be more important than facing the question whether the Afghan war is still sensible or not. 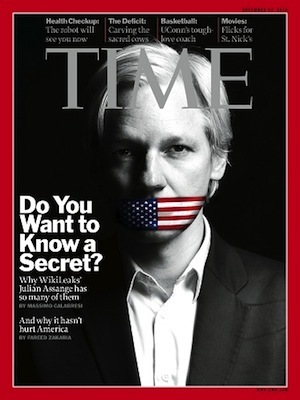 EDIT: Anyway, I think these new revelations do illustrate why Julian Assange could easily become Time Magazine's person of the year 2010. His 'strategy' could make a difference in this world. Assange's popularity has continued to rise during the past few days: he now has almost more votes than the no.2 and no.3 together, and his popularity rating raised to 92%. WikiLeaks founder Julian Assange has been named “Man of the Year” by France’s Le Monde newspaper, one of the five publications to cooperate with the whistleblowing website on its latest release of leaked documents.